Callaway Golf Announces Great Big Bertha Driver and Fairway Woods -- Company Also Reveals Big Bertha Alpha 816 Lineup For Better Players. Callaway Golf Company has officially announced the new Great Big Bertha Driver and Fairway Woods. The Callaway Great Big Bertha Driver is a technological breakthrough, designed with an aerodynamic, multi-material clubhead, a next generation R*MOTO face for high ball speeds across the face, and an adjustable sliding weight for more dispersion control without sacrificing forgiveness. The Great Big Bertha Driver is built to get the most distance for all golfers, so they leave no yard behind. The Great Big Bertha Driver ($449.99) and Great Big Bertha Fairway Wood ($249.99) will be available at retail on August 28, and golfers can pre-order them starting August 14 on CallawayGolf.com. Both new Great Big Bertha products feature excellent stock shaft offerings with a comprehensive list of aftermarket shafts at no upcharge. 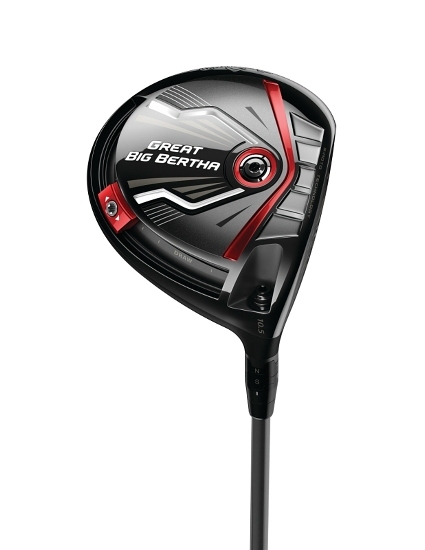 The company also announced the Big Bertha Alpha 816 Double Black Diamond Driver and Big Bertha Alpha 816 Fairway Woods for better players looking to fine-tune their club performance. The Big Bertha Alpha 816 Double Black Diamond Driver features a deeper face, next generation R*MOTO face technology for high ball speeds, and two distance chambers. Golfers can put Callaway's gravity core in the left or right chamber for shot-shaping control, and then set the gravity core up or down to increase ball speeds based on their impact location. The Alpha 816 Double Black Diamond Driver ($499.99) and Big Bertha Alpha 816 Fairway Woods ($299.99 each) will both be at retail and online on September 18, and they will be available for pre-order starting August 14 on Callawaygolf.com. Like the Great Big Bertha clubs, the Alpha 816 Woods feature excellent stock shaft offerings with a comprehensive offering of aftermarket shafts at no upcharge. 0 comments on "Great Big Bertha Driver and Fairway Woods announced by Callaway Golf"